bloody civil war that culminated in the infamous St Bartholomew's Day Massacre. 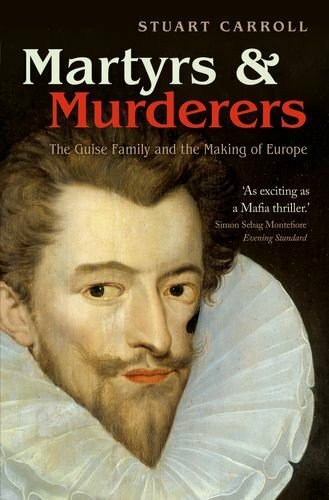 They protected English Catholic refugees, plotted to invade England andoverthrow Elizabeth I, and ended the century by unleashing Europe's first religious revolution, before succumbing in a counter-revolution that made them martyrs for the Catholic cause.Martyrs and Murderers is the first comprehensive modern biography of the Guise family in any language. In it Stuart Carroll unravels the legends which cast them either as heroes or as villains of the Reformation, weaving a remarkable story that challenges traditional assumptions about one of Europe's most turbulent and formative eras.